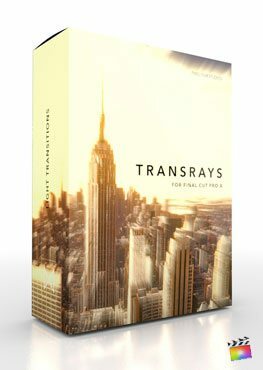 TransRays is a set of light transitions created exclusively for Final Cut Pro X. TransRays makes it easy for video editors to achieve spectacular light ray transitions that momentarily overexposes footage before bleeding away to reveal the next scene. Utilize presets by simply dragging, dropping, then retiming. Best of all, Pixel Film Studios’ TransRays is completely customizable.